When you choose a career with Bartlett Tree Experts, you become a member of our family of employees throughout the United States, Canada, Great Britain, and Ireland. Bartlett is a company built on pride and family values that goes back to 1907. 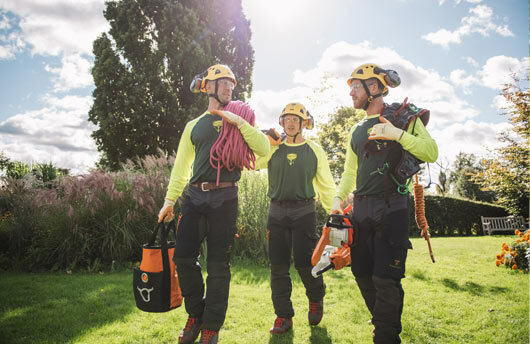 We are proud of our scientific knowledge of tree care, the quality of our work, the level of service, our award-winning safety record and, most of all, our people. As we continually move forward in our pursuit of new advances and scientific breakthroughs, as well as maintain our industry leadership of quality and integrity, we will need additional dedicated and talented people. We look forward to your application, and stand ready to welcome you into the Bartlett family of employees. Join Bartlett's Talent Community to receive updates on job opportunities and company news. Visit our Bartlett Careers Facebook Page for more job opportunities and career-related events, and click 'Like' today!